Rediff.com » Getahead » Crossword book awards: Karan Johar, Sudha Murty, Sadhguru win big! The country’s oldest book awards saw some interesting wins. 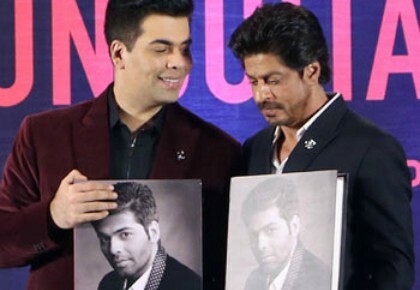 Karan Johar (above) is used to hosting, and winning at, award shows but this one, confesses the King of Gab, was a little different. It is his first award for the first book he wrote. 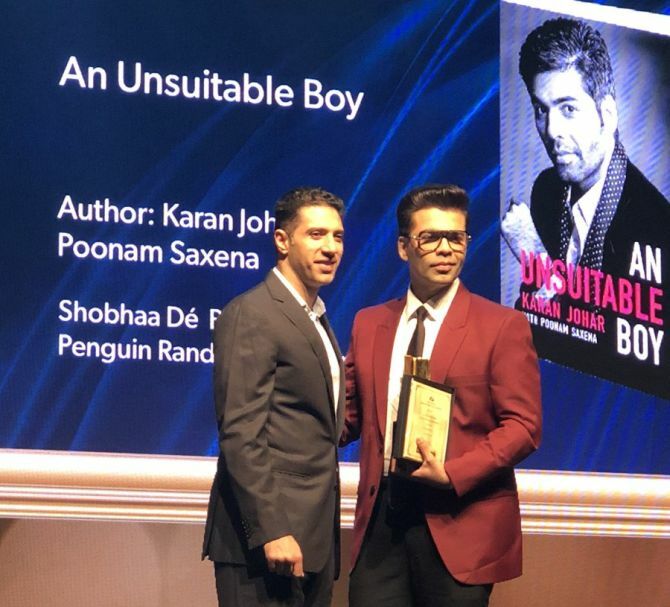 And, in the process of winning the Crossword popular award for best biography, he pipped Rishi Kapoor’s Khullam Khulla, Rekha: The Untold Story, Driven: The Virat Kohli Story and Medha Bhaskaran’s biography of Chhatrapati Shivaji, Challenging Destiny. Johar confesses that he is not an avid reader or even an avid writer. “I’m just someone who wrote my story and I’m glad people were interested enough to buy it,” he grins, in typical KJo style. 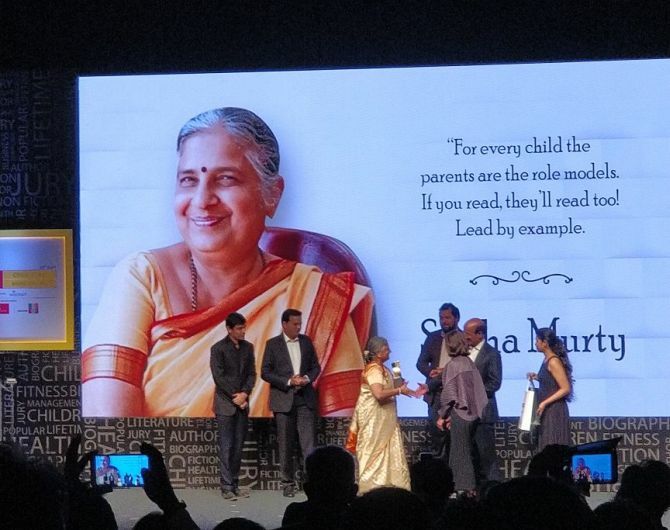 The 15th edition of the Raymond Crossword Book Awards also honoured the prolific Sudha Murty (above) with the Lifetime achievement award for her exemplary contribution to Indian writing in English. The earlier winner in this category, which was introduced in 2016, was the legendary Ruskin Bond. “I was surprised when I came to know I'm getting this award. I thought this is their way of telling me to retire," Murty laughs. "I have been writing for 40 years now, but started writing in English only when I was 56 years old. Independent of Narayana Murthy and the company, the one thing that is my own is my writing," she smiles, even as her next book, The Man From The Egg, has hit the stands. Former Rediff.com staffer Josy Joseph (above) won the jury award for best non-fiction for his controversial book, A Feast Of Vultures. The other contenders in this category included Shashi Tharoor, Amitav Ghosh, Pankaj Mishra and Pradeep Damodaran. Sadhguru, who won the popular award in two categories, Inner Engineering: A Yogi’s Guide To Joy and A Taste Of Well-Being: Sadhguru's Insights For Your Gastronomics, said in a video message, “This award is for those who are willing to turn inwards. Looking up has caused one kind of distress; and looking out has caused a different level of destruction. Looking inward is the only solution." For the complete list of winners, read on. Fiction: Our Impossible Love by Durjoy Datta (Datta beat authors like Chetan Bhagat, Twinkle Khanna, Ashwin Sanghi and Ravinder Singh). 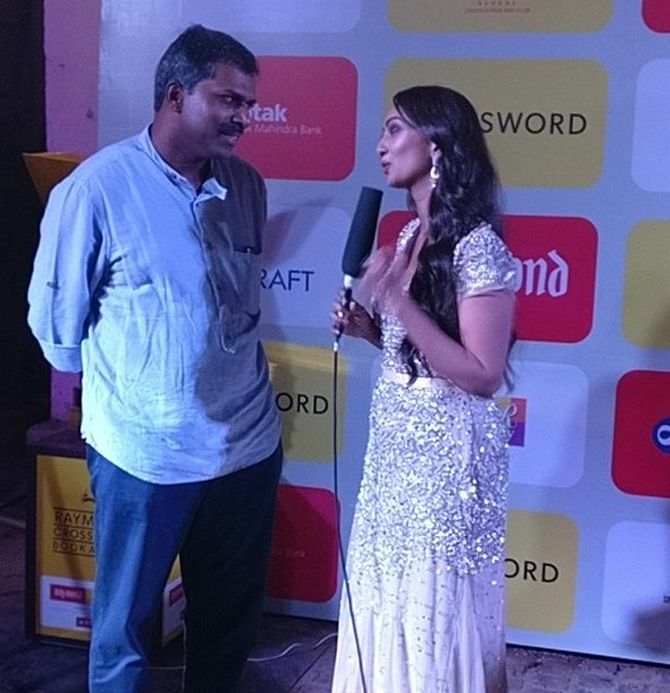 Past winners of the Crossword Awards include Salman Rushdie, Vikram Seth, Amitav Ghosh, Neel Mukherjee and Kiran Desai. 7 books you must read before you turn 21!